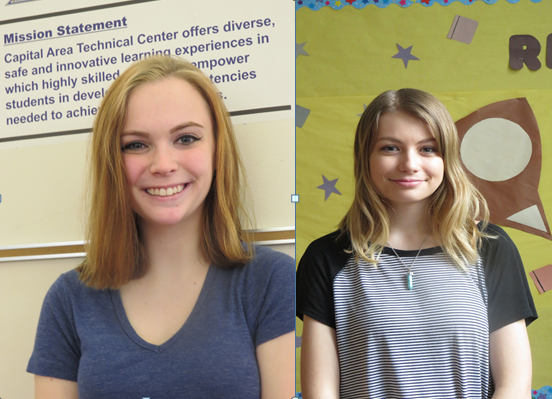 Capital Area Technical Center is pleased to announce the November Students of the Month. 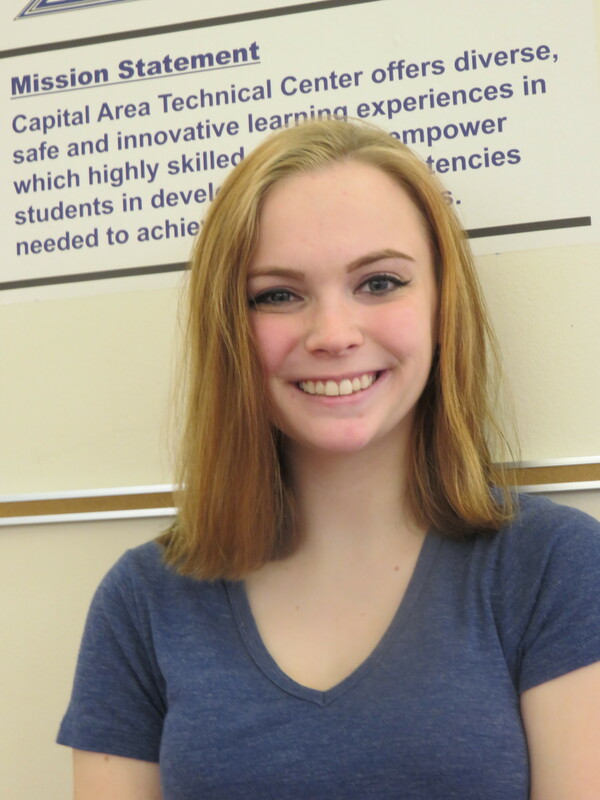 Cady Beaulieu is a senior from Cony enrolled in the Business Academy. She has enjoyed being in class with students from other high schools that share her career interests. She feels the program has greatly increased her knowledge about business. 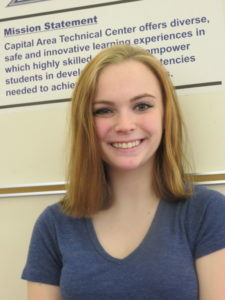 Her instructor, Mrs. Angela Dostie says, “Cady is always respectful, comes to class prepared and produces quality work.” Cady is involved in Cony’s Bowling Club, Jazz band and pep band. She plays the drums and guitar and is currently teaching herself how to play the piano. Upon graduation, Cady plans to pursue further education in business. 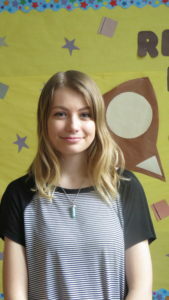 Abigail Hutchins is a senior from Hall-Dale High School enrolled in the Early Childhood Education program for the second year. She thinks the program has given her plenty of opportunities to help her decide what age group she wants to work with, which is kindergarten. 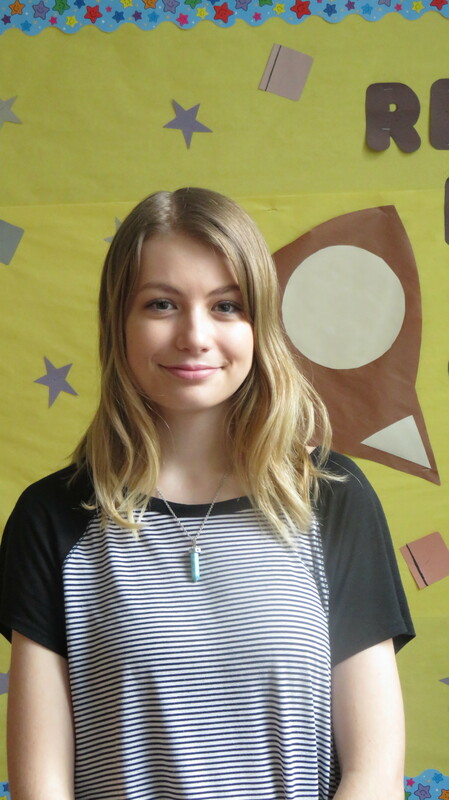 She has completed field experiences at Magic Year, Gilbert Elementary School and the KVYMCA. Her instructor, Mrs. Erin Sirois says, “Abigail demonstrates an excellent work ethic in the classroom. She is extremely dependable and has grown into a quiet, yet strong leader in the program’s pre-school, My First School. When not in school, Abigail can be found working at The Paper Store. Upon graduation, Abigail plans to attend college and study education.